Start by preparing. Take your peas out of the freezer and set aside to thaw. Boil diced potatoes add a bullion cube to the water for extra flavor. Cook your meat using a little bit of garlic if you'd like. Be careful adding too much salt. Cook your carrots. Grease your cake pans with butter flavored shortening. Put your bottom layer pie crust in your pan and baste with egg whites (can omit). Pre heat oven to 400 degrees. In a large pot melt your butter. Once melted, add flour, slat and pepper. Slowly wisk in broth. It will be kind of thin. Add drained cooked potatoes, carrots, peas and meat. Stir together. 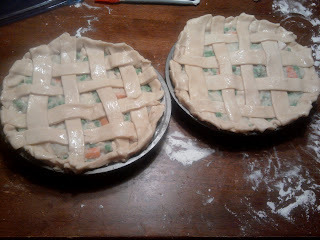 Add filling to waiting pie crust pan. 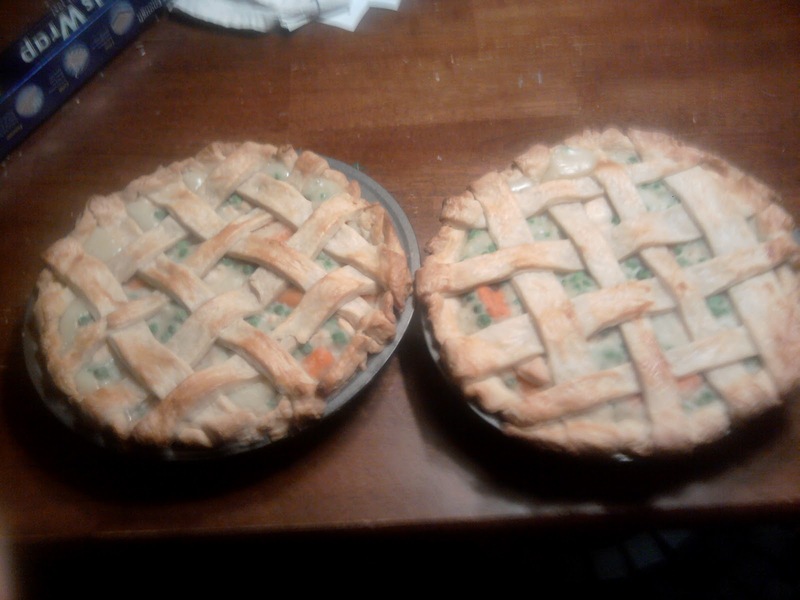 There will be enough filling for TWO pies. 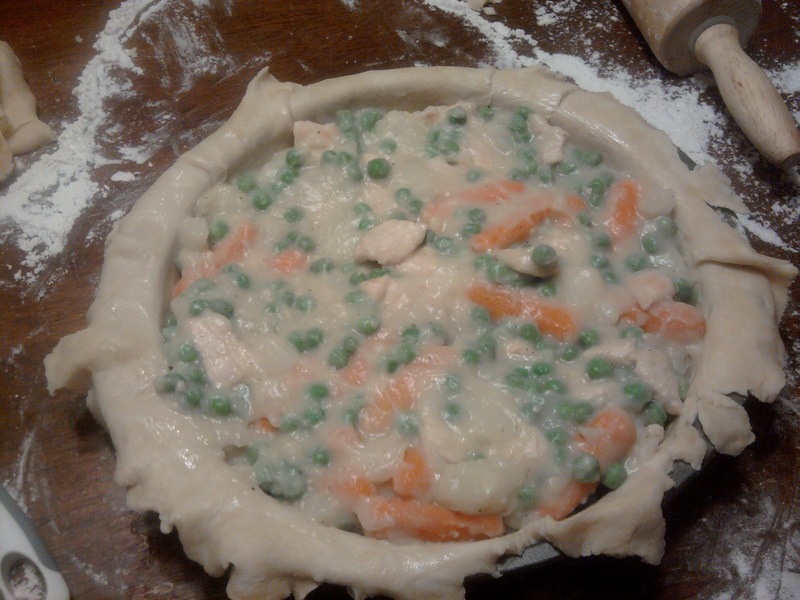 Add your top crust and pinch the layers together around the edge. If you don't weave the top be sure to make slits in the top for vents. Bake at 400 degrees for 30 minutes.